A very busy and successful weekend for our Galway Clinic sponsored community soccer club Maree/Oranmore fc. The adult Premier side had an excellent 3-1 win against a dogged Loughrea side to put them in fifth position in the top tier with goals from Eoghan Mc Donagh, Malachy Black and Kenneth Mc Stay. This is a very good Morale booster prior to next weekends Connacht Cup tie in Ballisodare, Co Sligo. The u17 boys adavanced to the last 16 of the FAI u17 Cup following a merited 2-1 win at home against Clare club Newmarket Celtic with fine strikes from the excellent Adam Lally and Eoin Lyons. This was a fine team performance with Shane Cox and Caden Okuguni impressing in the centre of the defence. The u16 Premier lads won their League encounter against an excellent Athenry fc side in Oranmore on Sunday. Despite going a goal down Maree/Oranmore fc responded well with first half goals from Ciaran Black, Conall Doyle and Ronan Killilea. Athenry responded well to pull one back but good defending from Morgan Morrin, James Whelan, Tom Delany and Keeper Eoin Ahearne secured a narrow 3-2 win. 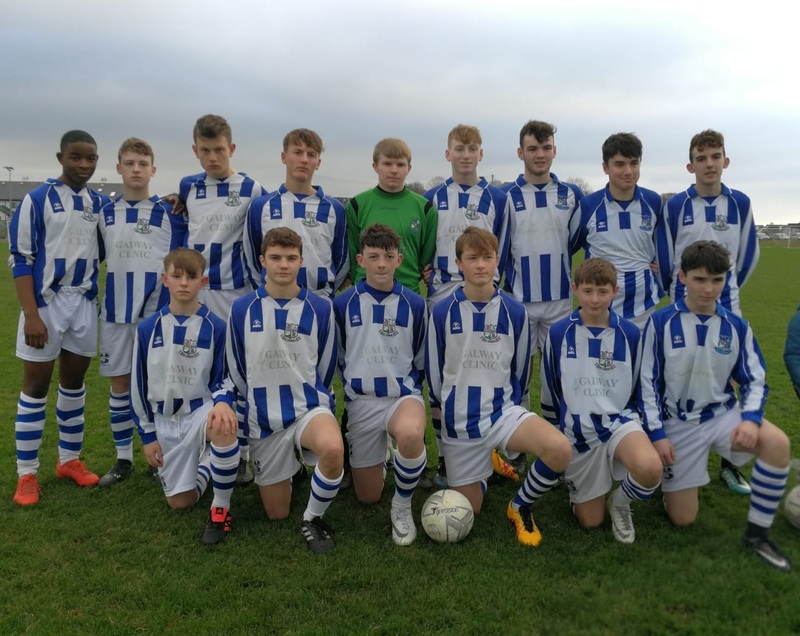 The u14 Premier Boys also played Athenry fc on Saturday last and they came away also on a 3-2 win in a good game of football with goals courtesy of Ben Costelloe, Aaron Doyle and a penalty from Colm Whelan to secure victory. All six of our u12 club sides were in action last Saturday with four wins and two draws being the outcome. The u12 Premier and Championship sides had scoreless draws against Athenry fc and Cregmore/Claregalway respectively. The u12 div 1 side had an excellent 5-1 away win to Galway Hibernians with goals arriving from Barry Keating (2), Dara Costello (2) and Tiernan Grealish. The management team of Martin Joyce and Fergus Kelleher will be happy with their u12 Div 2 charges in a 3-1 away win in Furbo. Scorers were Kevin Blankson, Oisin Stack and Brian Rossie Carroll. The u12 div 3 side led by Kieran O Connell had an exciting 4-3 victory against Athenry fc with James Kelly getting three and James Mc Guire netting. Finally the u12 div 4 side headed up by Brian O Connor and Joe Dillon had an excellent 4-0 win at home to Moyne Villa with goals from Noah Dowling (2), Oisin Roberts and Kailum Sylvester. Two u11 Development sides managed by Gareth Ramberg and Dan Mc Cormack had a series of very competitive games away to Tuam Celtic on Sunday. Well done to all involved. A depleted u12 girls side went down 3-1 to colga fc in the u12 div 1 league despite the goal coming from Orlaith Geraghty. The u20/u21 mens side have made the perfect start win wins against Colga fc and Corrib Rangers. We wish Noel Greaney and his eager panel the very best with this squad due to play under lights in Eamonn Deacy Pk this week. The St Columbas Invitational Tournament resumes this Sunday Nov 25th with boys sides at u7 and u8 out and girls teams at u8 and u10 in action.